In the second release of the Korion-Kids series Nelly Fairy will continue her adventures. However, this time she gains building experience in “Nelly Fairy: Castle”. The castle’s parts are hidden in beautiful lasndscapes poulated by animals and have to be assembled in a puzzle game. Nelly Fairy looks different: she jumped from 2D to 3D and now also wants to play with “the senior kids” up to eight years. Nelly Fairy: Castle will be available for smartphones and tablets in the AppStore and at GooglePlay. 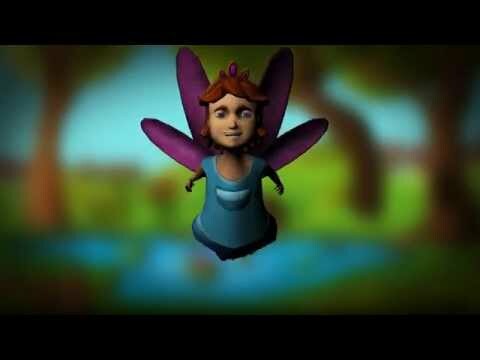 In the new Korion-Kids series we developed the game “Nelly Fairy: Farm”. The protagonist Nelly differs strongly from typical fairies: she does not cast spells but simply lends a hand. Since November 2014 she experiences her first adventutre on a farm. The game was developed for children aged 1 to 5 years in cooperation with the Stuttgart Media University. It trains the child’s fine motor skills (by drag gestures) and the cognition (which animal needs which type of food). Most important, however: it’s suitable for children and fun.